Due to some unpredictable family medical issues we will not be scheduling regular tours at this time. We hope to be back soon. Discover what the Olympic Peninsula has to offer with luxury tours designed with you in mind. Here's a list of our frequent tours. We can do even more. Just click on our Private Tours, Photo, or Wine Tours for more information. Explore the Olympic Peninsula’s unique small towns with big things to offer. We will pick you up in Port Angeles near the MV Coho Ferry Dock, or in Sequim. We’ll embark on a tour of the Lavender Capital of North America and the highlights of the Dungeness Valley. We have more sun than anyone in western Washington, allowing our growing season some unusual fare. Our farms are growing outstanding organic produce and our vintners are making some fine wines. During the season, we can stop to do a bit of tasting, take some great photographs, or buy a few things to take along. Next stop is the lovely Victorian Seaport town of Port Townsend. The shopping, history, and cuisine make this a delightful part of your peninsula adventure. There will be time for lunch on your own. During the summer months, we will be fortunate to visit one of the best Farmers’ Markets in the state. We will make our way back to Port Angeles via Fort Worden State Park. If time permits, we will always try to add a few other special places that only your local guide will know about. Ask about a Hurricane Ridge early morning add-on to the itinerary during the summer months. If you have beautiful farmland, history, and culture of our region--this is the tour for you. We'll get you back in time to catch the Coho back to Victoria. Cost is $79 for 5-6 hours, per person. Tours running Sundays through September 30. Hit the BOOK NOW button for the calendar. Spend an enjoyable day at one of the most spectacular places on the planet. Weather permitting, we will visit the 5200 ft. summit of Hurricane Ridge where the view will ‘blow you away’ – hence, the name. Next, we travel to the Historic Lake Crescent Lodge and Marymere Falls. Lake Crescent is a deep, glacier-carved lake, with a turquoise color that is fresh and clear. Venturing onward, we will travel inland into the Olympic National Park to Sol Duc Falls. When the Coho salmon are running in the fall, we will stop and watch these amazing creatures traverse the cascades to their spawning waters. Arriving at the trail to Sol Duc Falls, let’s take a short hike to the falls on a natural path. Wear your good walking shoes and expect some inclines. It’s well-worth the walk to the Falls any time during the year. We will pack a great picnic lunch and find a scenic dining spot en route. If you have limited time and want to adventure to the best of the northwest, this is the scenic trip for you. Bring your cameras, because we know of some awesome photo ops. Cost is $129 including wonderful picnic lunch, per person. Approximately, an 8-hour tour. Tours running on Fridays and Saturdays through September 30 or by special arrangement. Hit the BOOK NOW button for calendar information. The wild beaches and rivers of the Olympic Peninsula coastline are rugged, pristine, and inspiring. Our tour leaves from Sequim or near the MV Coho Ferry dock in Port Angeles. We will spend the day exploring this historical and geologically significant area starting with a drive through the Olympic National Park. We will criss-cross some of the many rivers along the way and make our first stop in LaPush. We will make time to hike down to the beaches for photos or fresh air, then head over to Rialto Beach, one of Olympic National Parks’s signature wilderness beaches. We’ll see driftwood piled high and sea stacks standing guard along the coastline. We’ll enjoy a picnic lunch complete with views of crashing waves, tide pools, and birdlife. On our way home, we will take a quick trip through some favorite spots in and around Forks, perhaps coming across a few vampires as we go. 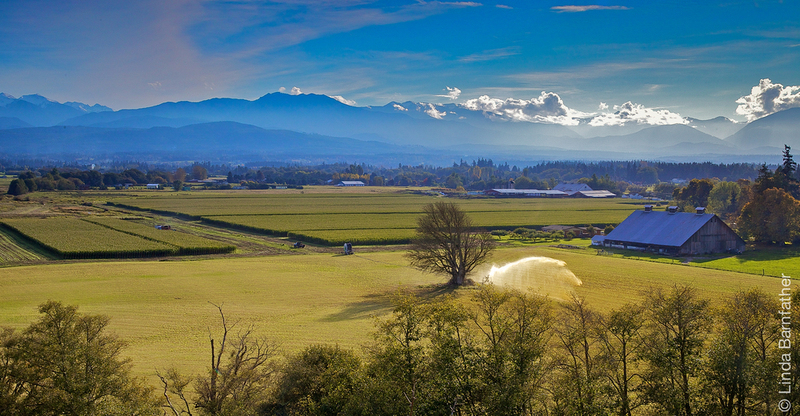 When we arrive back in Port Angeles or Sequim, you will know you’ve been somewhere very special. Cost is $129 including picnic lunch, per person. Approximately an 8-hour tour. Tours running on Thursdays through September 30 or by special arrangement. Hit the BOOK NOW button for calendar information.